to cater and widespread its business of medical equipment and surgical instruments orthopedic supports laboratory reagents equipment rehabilitation products homecare medical products, professional use medical products hospital equipment furniture OT equipment surgical instruments of multispeciality stethoscope microscope analyzers bp monitors glucometers strips pulseoximeters nebulizers oxygen concentrators cpap bipap thermometers wheelchairs physiotherapy accessories of various brands will be supplied online orders and physical touch and feel at store. Cocoa products, which are rich sources of flavonoids, have been shown to reduce blood pressure and the risk of cardiovascular disease. Dark chocolate contains saturated fat and is a source of dietary calories; consequently, it is important to determine whether consumption of dark chocolate adversely affects the blood lipid profile. The objective was to examine the effects of dark chocolate/cocoa product consumption on the lipid profile using published trials. A detailed literature search was conducted via MEDLINE (from 1966 to May 2010), CENTRAL and ClinicalTrials.gov for randomized controlled clinical trials assessing the effects of flavanol-rich cocoa products or dark chocolate on lipid profile. The primary effect measure was the difference in means of the final measurements between the intervention and control groups. In all, 10 clinical trials consisting of 320 participants were included in the analysis. Treatment duration ranged from 2 to 12 weeks. Intervention with dark chocolate/cocoa products significantly reduced serum low-density lipoprotein (LDL) and total cholesterol (TC) levels (differences in means (95% CI) were −5.90 mg/dl (−10.47, −1.32 mg/dl) and −6.23 mg/dl (−11.60, −0.85 mg/dl), respectively). No statistically significant effects were observed for high-density lipoprotein (HDL) (difference in means (95% CI): −0.76 mg/dl (−3.02 to 1.51 mg/dl)) and triglyceride (TG) (−5.06 mg/dl (−13.45 to 3.32 mg/dl)). These data are consistent with beneficial effects of dark chocolate/cocoa products on total and LDL cholesterol and no major effects on HDL and TG in short-term intervention trials. Chocolate and cocoa are produced from cacao beans, the seed of Theobroma cacao, and are known to contain fats (the dry weight of whole cacao beans is composed of 50–57% lipid, often called cocoa butter (Hannum and Erdman, 2000)). This cocoa butter, predominantly found in dark chocolate, is composed on average of 33% oleic acid, 25% palmitic acid, and 33% of stearic acid. (http://www.nal.usda.gov/fnic/foodcomp/search/), the latter two being saturated fats. Cocoa products are also very rich in plant phytochemicals, especially flavonoids, which are now objects of increased scientific attention due to their potential health benefits (Engler et al., 2004; Grassi et al., 2005a; Wang-Polagruto et al., 2006; Almoosawi et al., 2010). Previous studies have suggested that dark chocolate consumption reduces blood pressure (Grassi et al., 2005b; Grassi et al., 2008), improves SUGAR sensitivity as shown by significantly higher QUICKI (quantitative SUGAR sensitivity check index) measurements (Grassi et al., 2008), improves vascular endothelial function and reverses vascular dysfunction (Engler et al., 2004; Grassi et al., 2005b; Wang-Polagruto et al., 2006), reduces SUGAR resistance as evidenced by significantly lower HOMA-IR (homeostasis model assessment of SUGAR resistance) (Grassi et al., 2005a) measurements, and increases serum total antioxidant capacity (Wan et al., 2001). Despite solid evidence on the beneficial effects of dark chocolate on blood pressure, limited data exist on the effects of dark chocolate on blood lipids. One clinical trial indicated that regular ingestion of dark chocolate may have no adverse effects on serum lipid profile (Crews et al., 2008), whereas others have suggested that intake of dark chocolate reduced serum LDL cholesterol and triglyceride (TG) levels (Engler et al., 2004; Grassi et al., 2005b), and increased serum high-density lipoprotein (HDL) cholesterol measurements (Mursu et al., 2004). An earlier meta-analysis of eight randomized trials involving 215 subjects reported that an intervention with dark chocolate was associated with a significant reduction in serum LDL in subjects with cardiovascular disease risk factors (Jia et al., 2010) compared with placebo. However, that meta-analysis did not assess the effect of dark chocolate or cocoa on serum TG concentrations and it did not include some important recent studies. 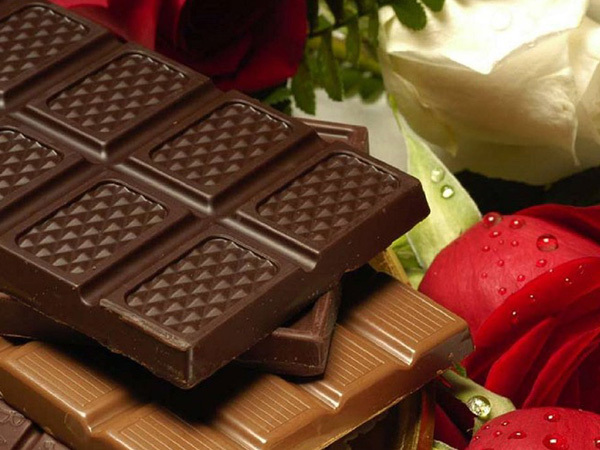 Dark chocolate is a food consumed frequently and widely all over the world. It is therefore relevant to understand its net benefits on health in order to help the public make informed choices. Hence, we sought to review current evidence on the effects of dark chocolate/cocoa products consumption on serum LDL, HDL and TGs using completed randomized trials. Get started Go to the profile of Dr. Mohit Bhandari Dr. Mohit Bhandari Bariatric and Metabolic surgeon in India, performed 7000+ bariatric surgeries and 500+ robotic surgeries. http://www.indiaobesity.in/about-us/dr-mohit-bhandari/ Nov 14 Bariatric Surgery may reduce the need for high BP medications in patients Bariatric surgery may reduce or eliminate the need for high blood pressure medications in patients with obesity, often within one month, according to the GATEWAY* Study, the first randomized clinical trial that compared gastric bypass plus medical therapy to medical therapy alone for the treatment of hypertension. The findings were presented at the American Heart Association’s Scientific Sessions 2017 and published simultaneously in the journal Circulation. This investigator-initiated study was funded with a grant from Ethicon, part of Johnson & Johnson Medical Devices Companies. percent of their body weight, compared to weight loss of less than 1 percent for the medical therapy alone group. An improvement in lipid profile and inflammatory markers and reduced cardiovascular risk was also achieved in the surgery group. After a year, a third (33%) of patients normalized their blood pressure to less than 120 mm Hg, and 69 percent of them did so without medication. A little more than a quarter (26%) of the medical therapy alone group achieved normalized blood pressure with an average of 2.8 medications per patient. “This study suggests that cardiologists treating obese patients with hypertension, mainly those with severe obesity and using more than two drugs, can consider referring these patients for bariatric surgery, which is consistent with the American Heart Association, American College of Cardiology and The Obesity Society Clinical Practice Guidelines,” said lead study investigator Carlos Aurelio Schiavon, MD, a bariatric surgeon. “Fewer or no medications means better compliance and weight loss with an improved metabolic and inflammatory profile combine to reduce the risk of major cardiovascular events for these patients.” In the study, researchers followed 100 patients aged 18 to 65 with hypertension and a body mass index (BMI) ranging from 30 to 39.9 kg/m2 who were being treated with at least two antihypertensive medications at maximum doses or more than two drugs at moderate doses. Patients were randomly assigned to have either gastric bypass surgery along with medical therapy or to continue with their current antihypertension regime. Patients were followed for one year and are scheduled to be followed for up to five years. Obesity and hypertension are independent risk factors for cardiovascular disease and stroke. When someone has both risk factors, the risk for cardiovascular mortality doubles. Additionally, the prevalence of hypertension, which affects more than 85 million Americans, increases with an individual’s BMI. Ethicon is engaged in a multi-year, multi-million-dollar effort to combat obesity through the development of products and services that optimize patient outcomes and groundbreaking research that demonstrates the impact of bariatric surgery on obesity and related diseases including type 2 diabetes and heart disease. Facts about Obesity and Bariatric Surgery According to American Society of Metabolic and Bariatric Surgery (ASMBS), qualifications for bariatric surgery include: BMI ≥ 40, or more than 100 pounds overweight. BMI ≥35 and at least one or more obesity-related co-morbidities The worldwide prevalence of obesity more than doubled between 1980 and 2014. According to the World Health Organization (WHO), more than 1.9 billion adults were overweight in 2016. Of this group, more than 600 million have obesity. In the United States, more than 2 in 3 adults are overweight or have obesity, and about 1 in 13 are considered to have extreme obesity. Data suggests bariatric surgery has the greatest weight loss results of any treatment options for those with severe obesity, yet only 1 percent of the 26 million surgically-eligible patients in the U.S. have surgery each year. Obesity is the second leading cause of preventable death in the U.S. and contributes to more than 40 other diseases, including high cholesterol, stroke, Type 2 diabetes, heart disease, cancer and arthritis. Diagnosis can take many forms, It might be a matter of naming the disease, lesion, dysfunction or disability. It might be a management-naming or prognosis-naming exercise. It may indicate either degree of abnormality on a continuum or kind of abnormality in a classification. It’s influenced by non-medical factors such as power, ethics and financial incentives for patient or doctor. It can be a brief summation or an extensive formulation, even taking the form of a story or metaphor. It might be a means of communication such as a computer code through which it triggers payment, prescription, notification, information or advice. It might be pathogenic or salutogenic. It’s generally uncertain and provisional. A diagnosis made on the basis of medical signs and patient-reported symptoms, rather than diagnostic tests. Proper diagnosis is the first most important step in treating the patient . Unless we have detected the presence of periodontal condition, identified its type, extent distribution ,severity and determined the underlying pathologic processes & its cause, it won’t be possible to undertake a successful treatment. The different findings are not only collected or assembled but are relevantly correlated so as to arrive at a proper diagnosis. FIRST VISIT Overall appraisal of the patient. General evaluation, consideration of mental & emotional status, temparament, attitude & physiologic age. Medical diagnosis (abbreviated Dx or DS) is the process of determining which disease or condition explains a person's symptoms and signs. It is most often referred to as diagnosis with the medical context being implicit. The information required for diagnosis is typically collected from a history and physical examination of the person seeking medical care. 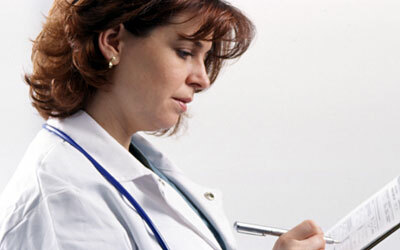 Often, one or more diagnostic procedures, such as diagnostic tests, are also done during the process. "When the business is a success, the credit has to go to customers first"
Business starts when customer turns up and business runs when the customer transforms as client. Brand Microsidd has a lot of gratitude for the customer who gave charm on our faces and inspiration while placing the orders with confidence and boosted our confidence and courage while a repeat. Customers belief leads us to satisfaction !! microsidd.com is now more secured site for your transactions providing 128bit SSL security and third party secured payment gateway from CCAvenue, PAYTM, Payumoney and HDFC Bank. Franchisee Potential investment in a retail wholesale medical store chain with possible 300+ counters pan india basis. China Viral Hepatitis and Retrovirus Diagnostic Tests Industry 2016: Abbott Diagnostics, Alere, Chembio, DiaSorin, Roche Diagnostics, Micro Sidd. Abbott Diagnostics, Alere, Chembio, DiaSorin, Roche Diagnostics, Micro Sidd, Scienion, SeraCare, Shanghai Kehua Bio-engineering. Asthma is a chronic condition that causes inflammation and narrowing of the bronchial tubes — the passageways that allow air to enter and leave the lungs. Asthma symptoms affect an estimated 26 million Americans, including 19 million adults and 7 million children. There are two types of asthma: allergic, which is caused by exposure to an allergen, and nonallergic, which is caused by stress, exercise, and illnesses like a cold or the flu. If you suffer from asthma, knowing your triggers and trying to prevent them the best you can is often the best strategy. Visit an allergist if your symptoms are severe, unpredictable, or if they occur more than twice a week. Asthma accounts for 10.5 million missed school days a year for children and 14.2 million missed work days for adults. Living with asthma can be difficult, but it is entirely possible to live a healthy life despite it. Ginger is used as a natural treatment for many illnesses, including asthma. It helps to reduce inflammation in the airways and relax the muscles. Mix equal parts ginger juice, pomegranate juice and honey. Consume one tablespoon of this mixture 2-3 times a day. Mustard oil can help clear the respiratory passages during an asthma attack and allow breathing to normalize. Heat some mustard oil and camphor. When it is warm, gently rub it on your chest and upper back and massage. Use this remedy several times a day until the symptoms subside. Figs help to relieve cough and excess mucus to promote easier breathing. Wash 3 dried figs and soak them in a cup of water overnight. Use this remedy for a few months until you notice improvement. Garlic is a powerful anti-inflammatory that can help clear congestion in the lungs during the early stages of asthma. Boil 2-3 cloves in one-quarter cup of milk. Allow it to cool to room temperature and drink. The caffeine in coffee can help control asthma attacks by acting as a bronchodilator. Hot coffee helps to relax and clear the airway for easier breathing. For those who don’t like the taste of coffee, hot black tea will have similar effects. Pure eucalyptus oil has decongestant properties that can help break up mucus. Put 2-3 drops in a pot of boiling water and breathe in the steam for soothing effects. Honey can relieve asthma symptoms such as coughing, wheezing and tightness in the chest. Mix 1 teaspoon of honey into a glass of hot water and drink it up to three times a day. Onions work as an anti-inflammatory to help reduce airway restriction that asthma causes. The quercetin in onions helps to dissolve mucus. Eat onions regularly to promote easier breathing. Lemons are rich in Vitamin C and antioxidants that help to reduce asthma symptoms. Squeeze the juice of half a lemon in a glass of water and drink regularly to reduce asthma attacks. Carom seeds can be used to treat mild asthma by acting as a bronchodilator. They help to clear congestion and get rid of mucus build up. Boil 1 teaspoon of carom seeds in water and inhale the steam or drink it. Import duty on medical devices raised The step came over a month ahead of the Budget 2016-17, expected to be tabled in Parliament on February 29.